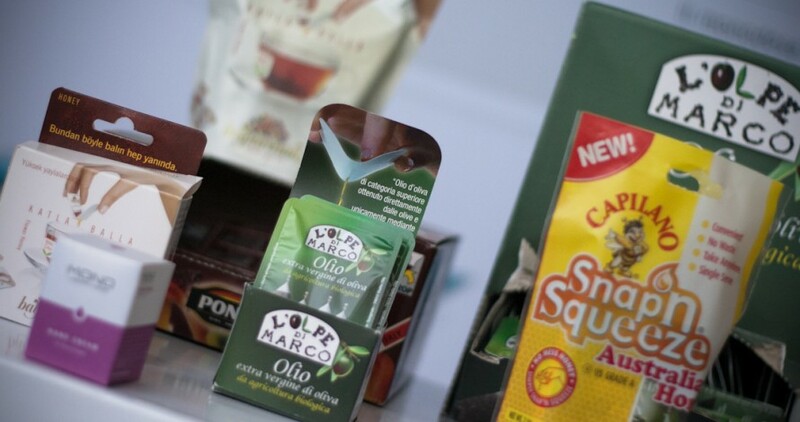 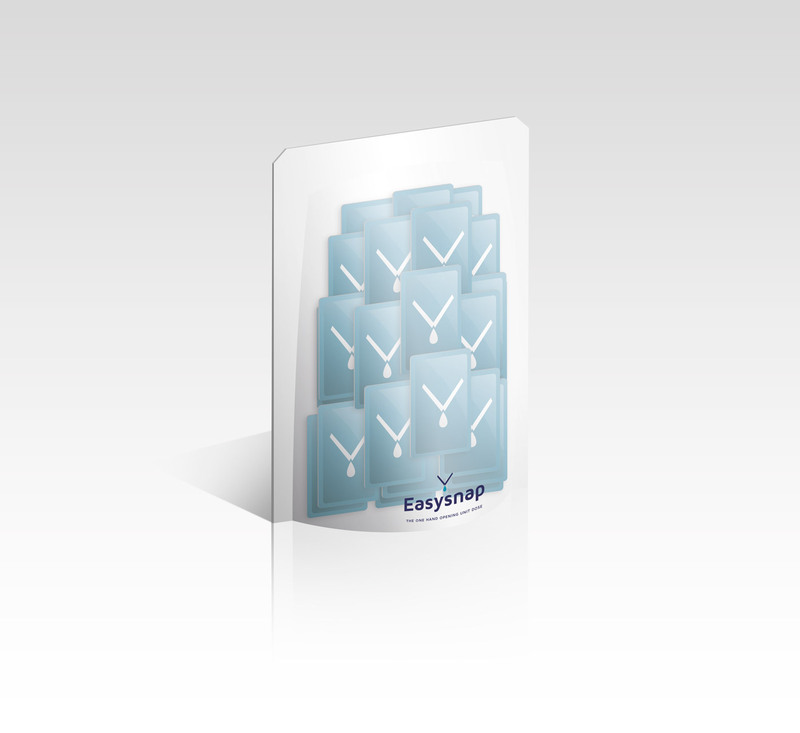 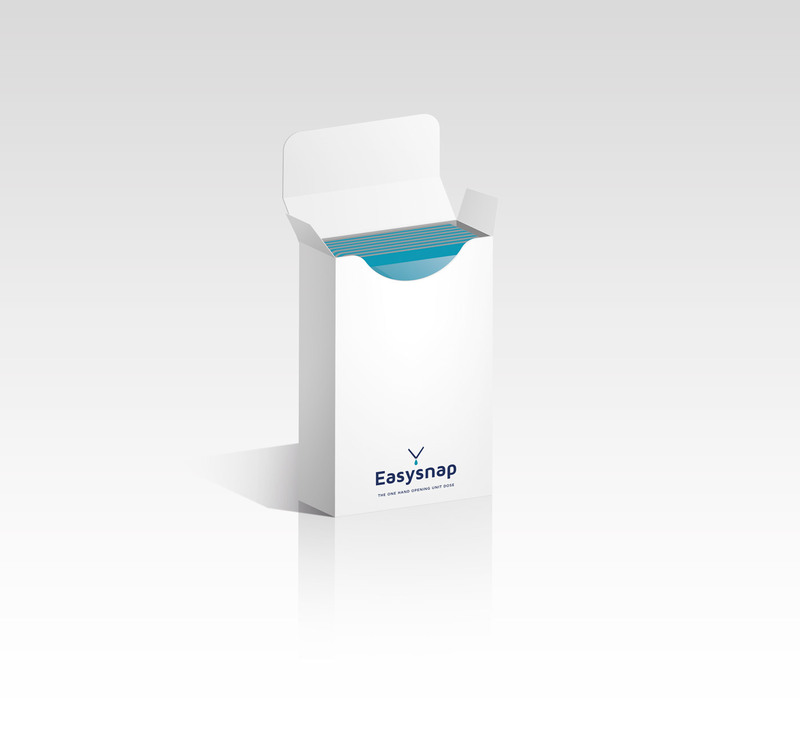 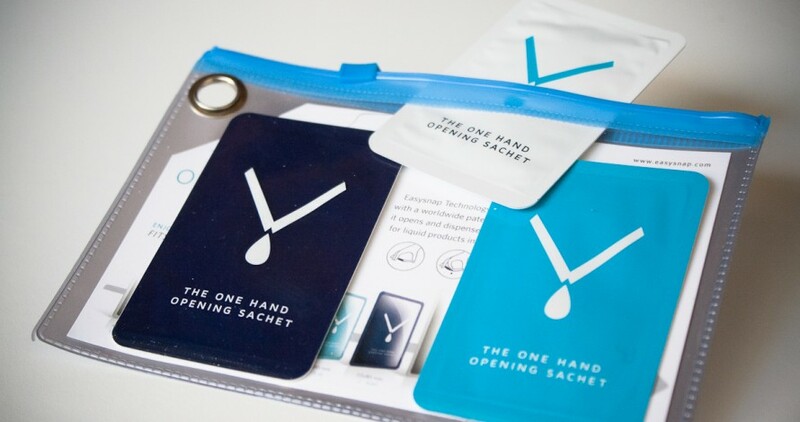 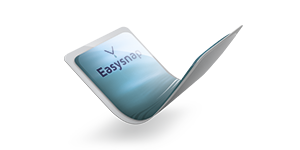 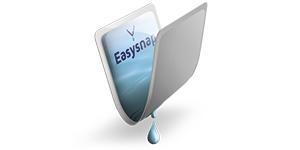 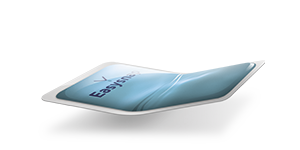 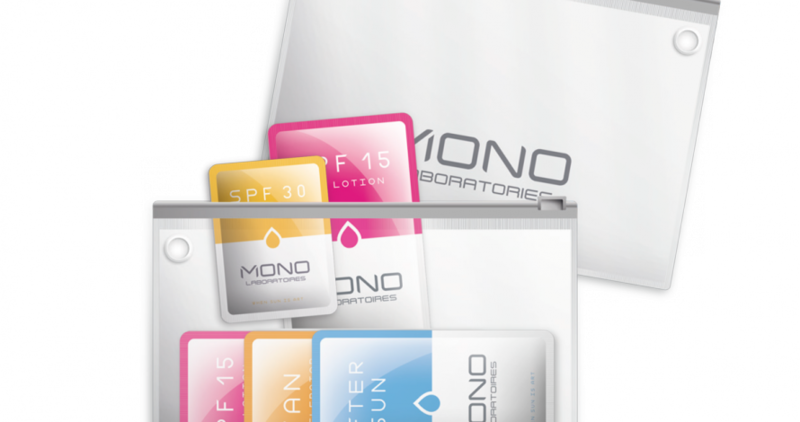 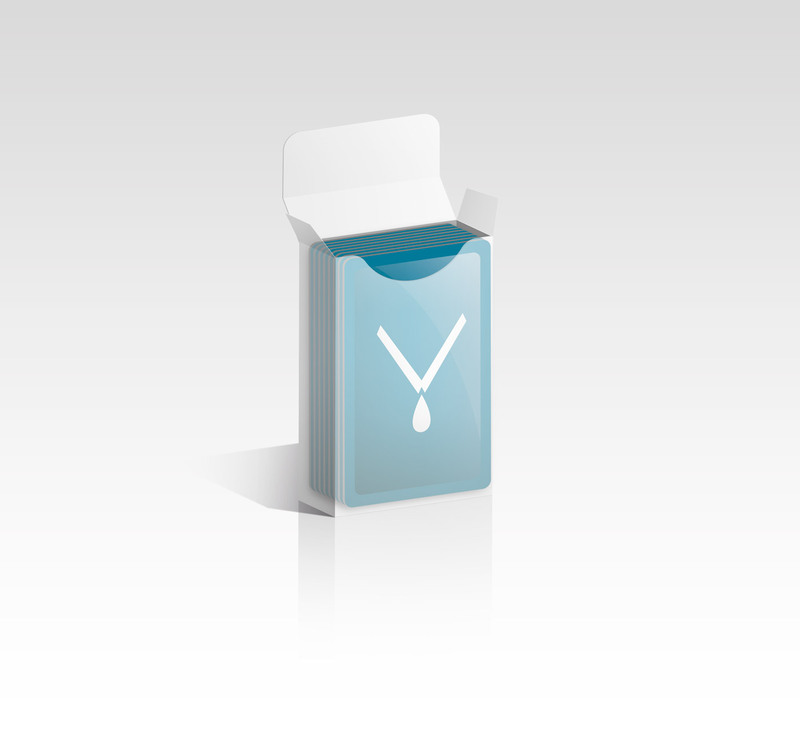 This page will illustrate a few examples of secondary packaging for our Easysnap sachets. 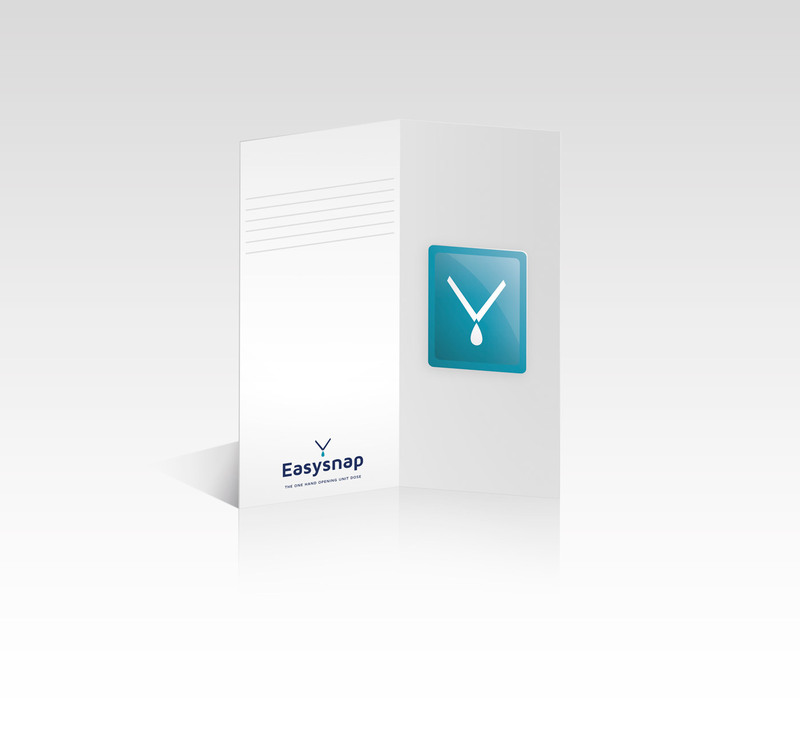 Each of these examples were created by our customers or designed under our advice. 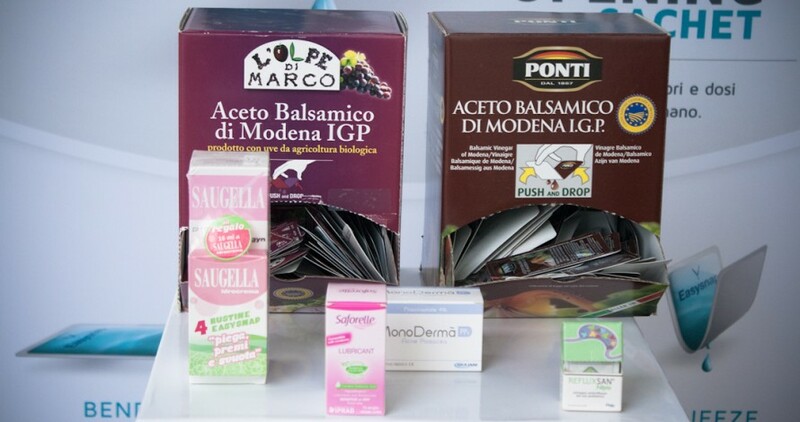 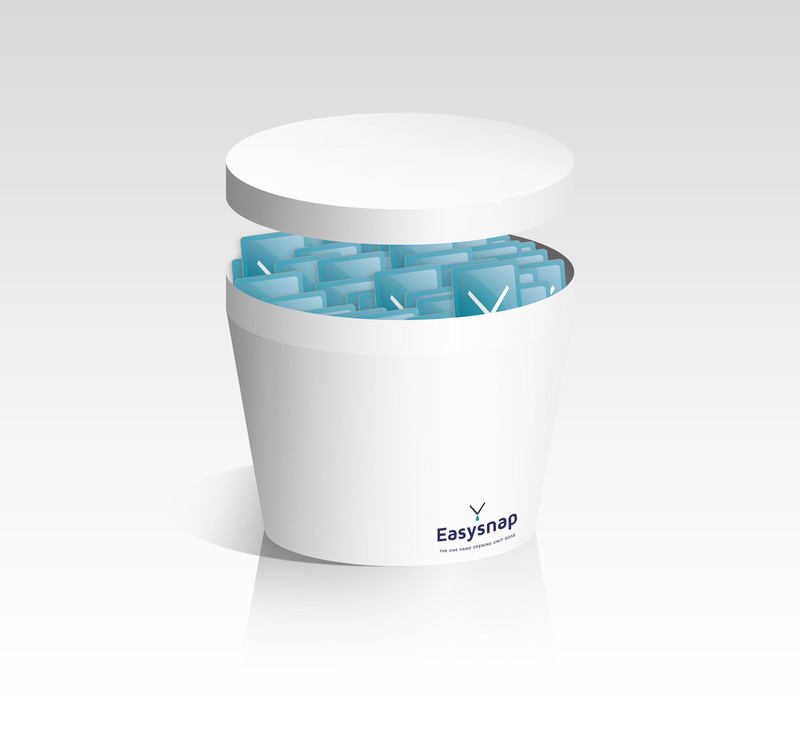 These are arranged depending on the amount of Easysnap unit doses that may be contained in each downstream package. 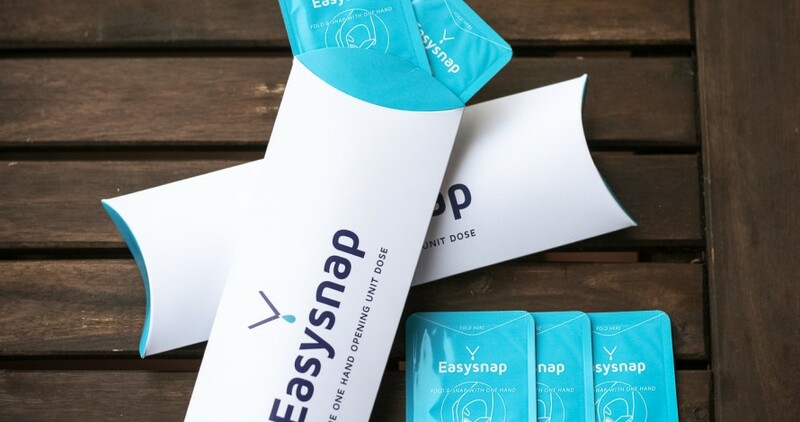 These examples are just design ideas. 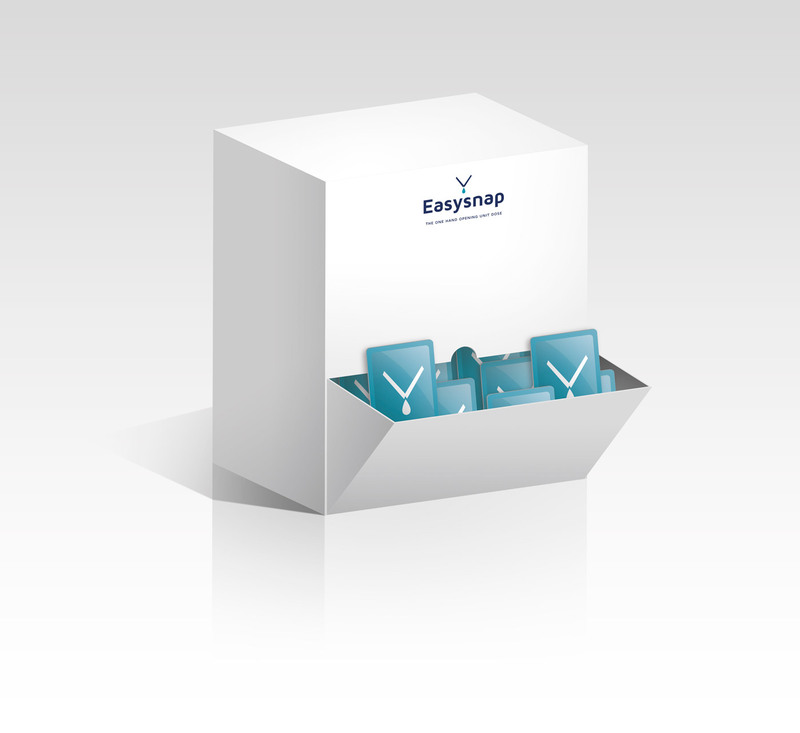 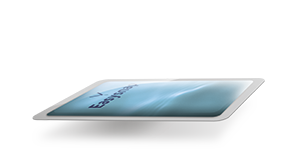 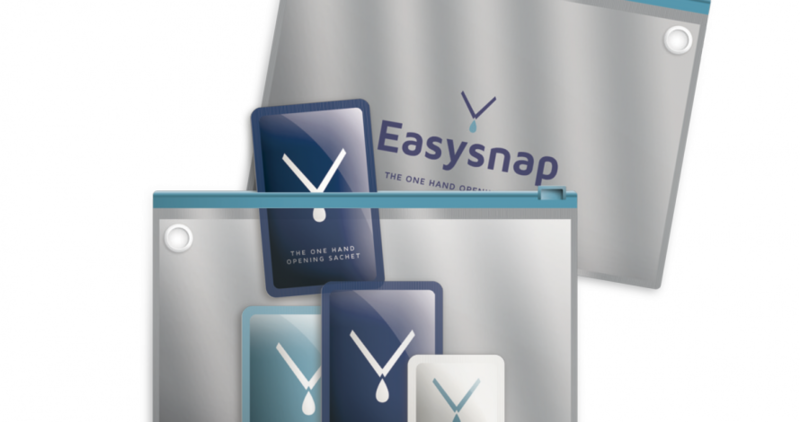 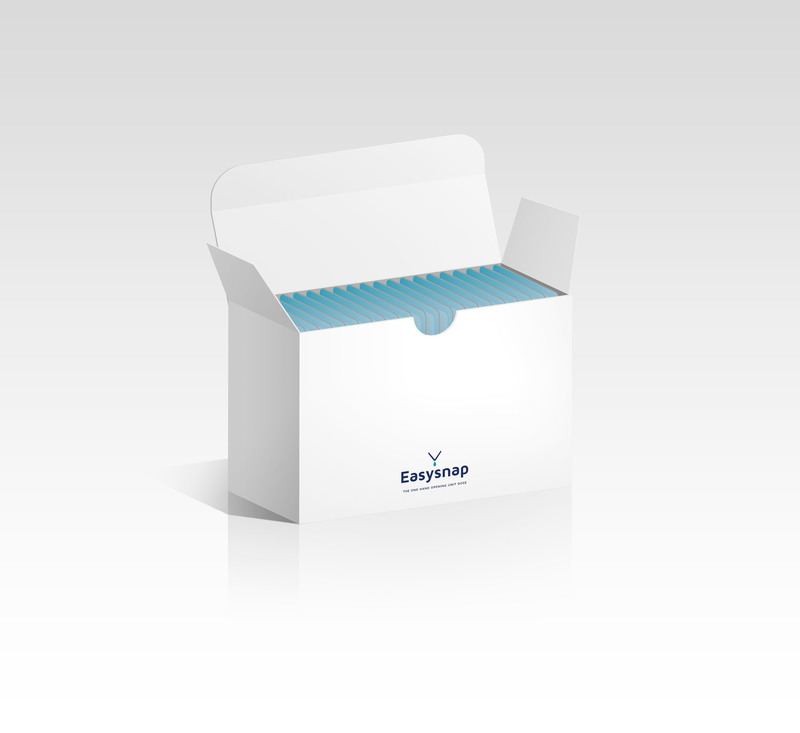 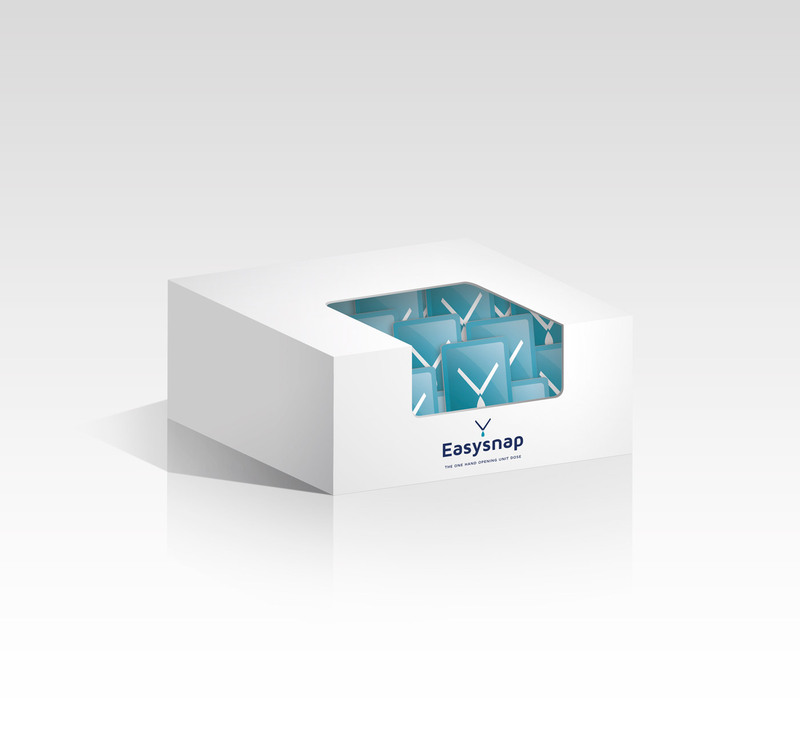 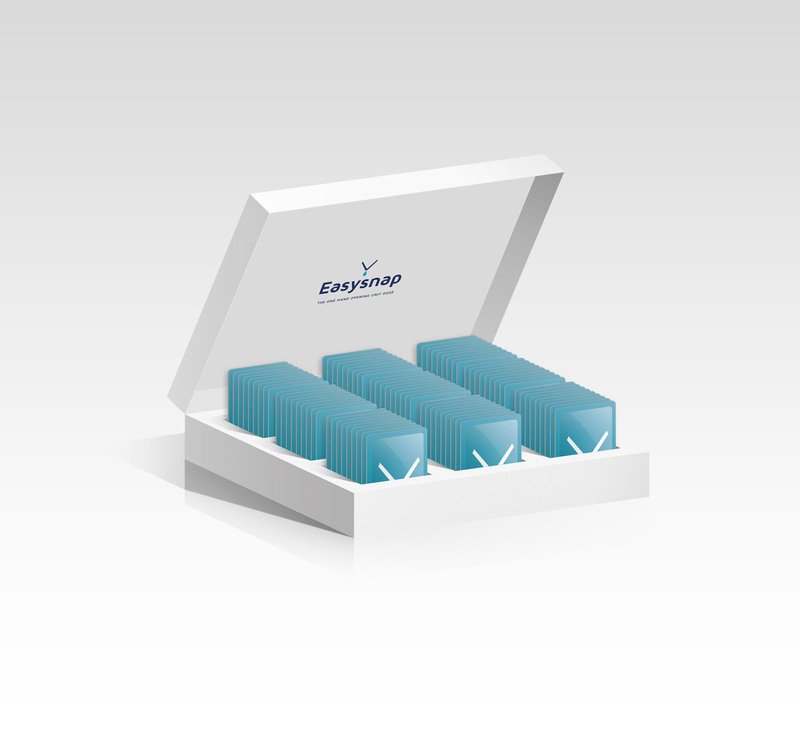 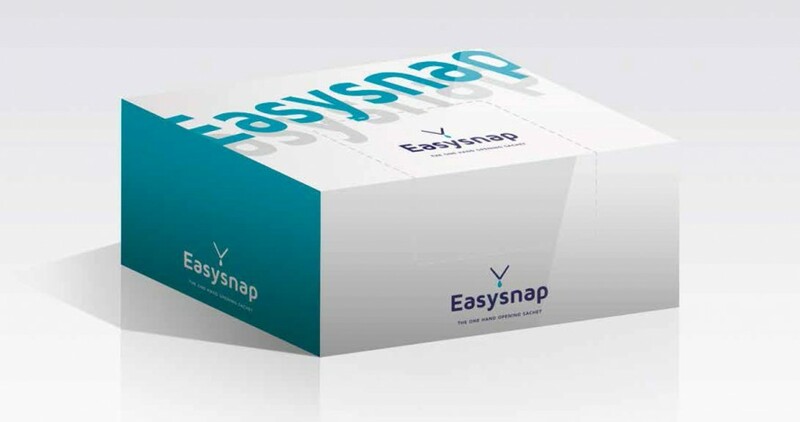 You can achieve your personal and specific secondary packaging for Easysnap. 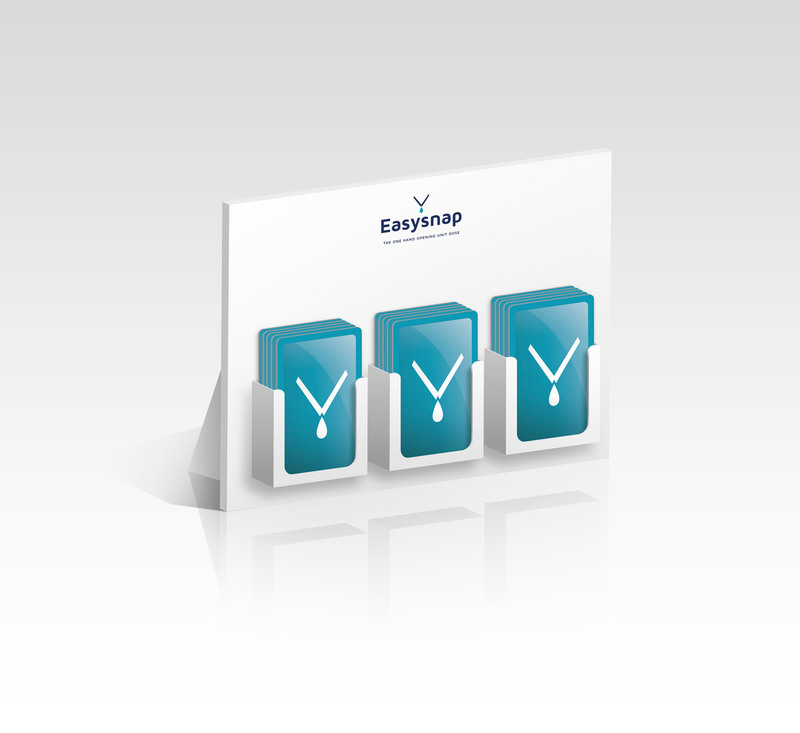 We'll be glad to help you in your implementation, contact us. 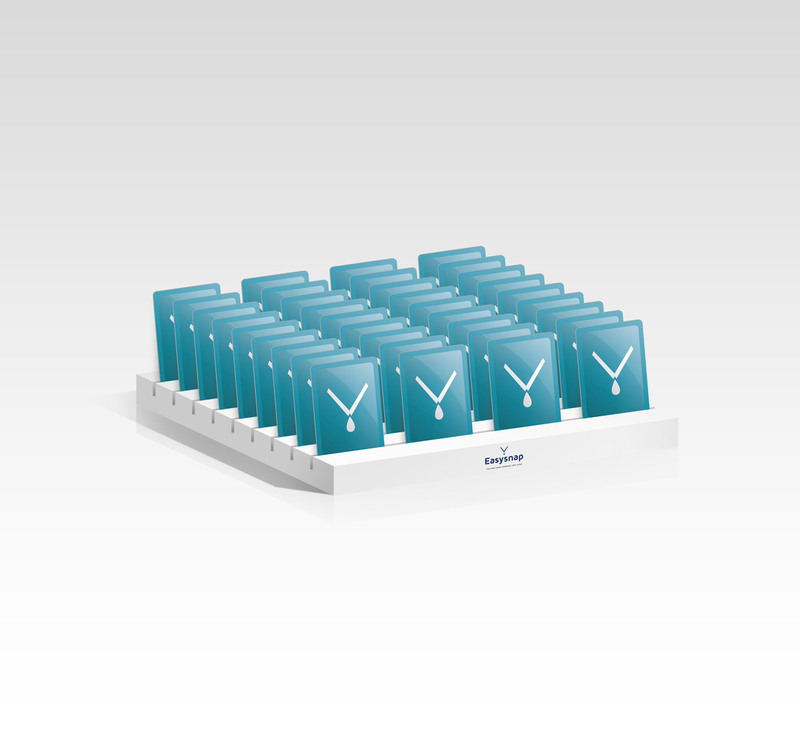 The best option for daily or weekly use. 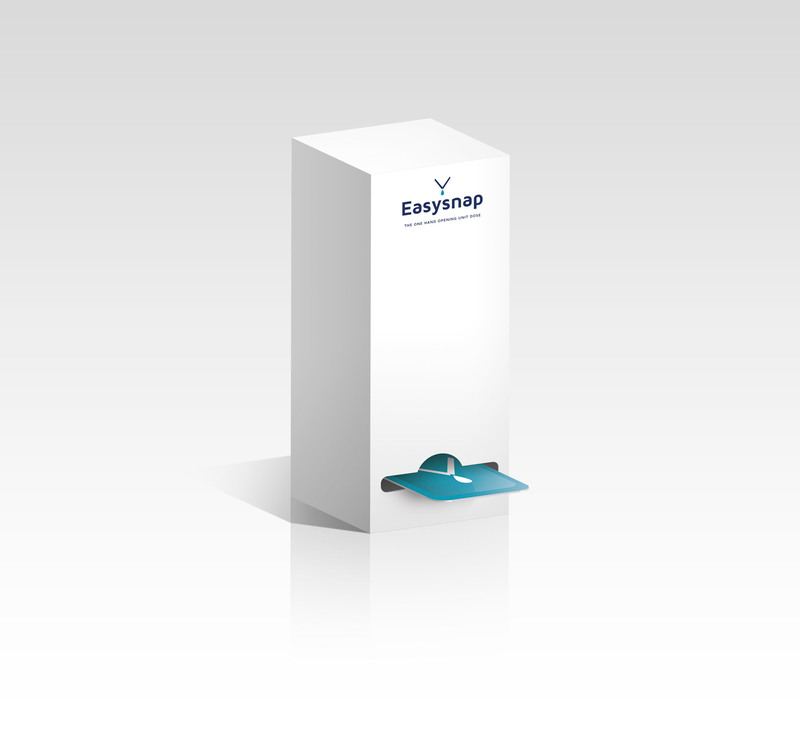 The ideal solution for commercial use (hotel, restaurants), retail and supermarkets. 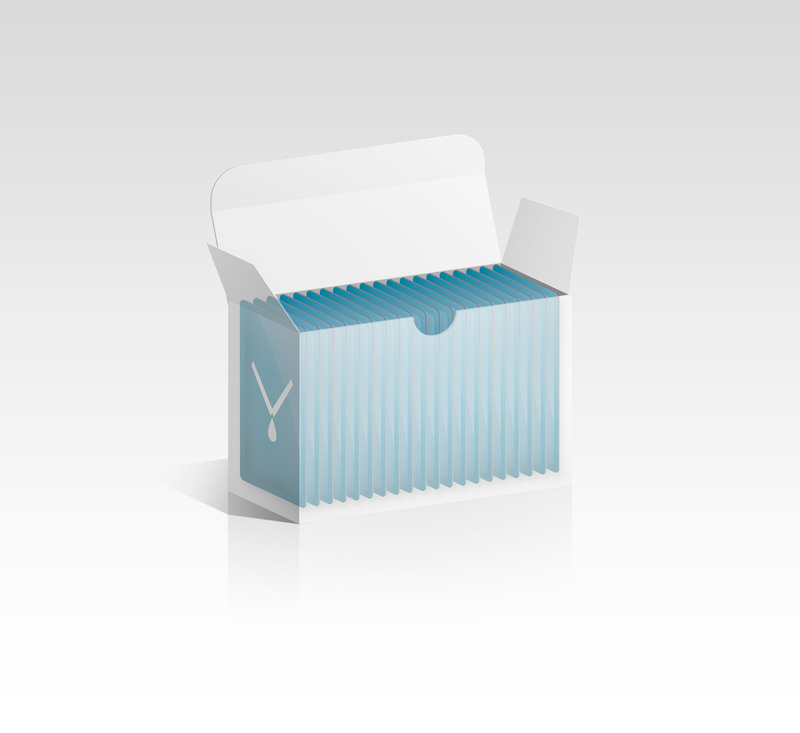 The option for P.O.P. 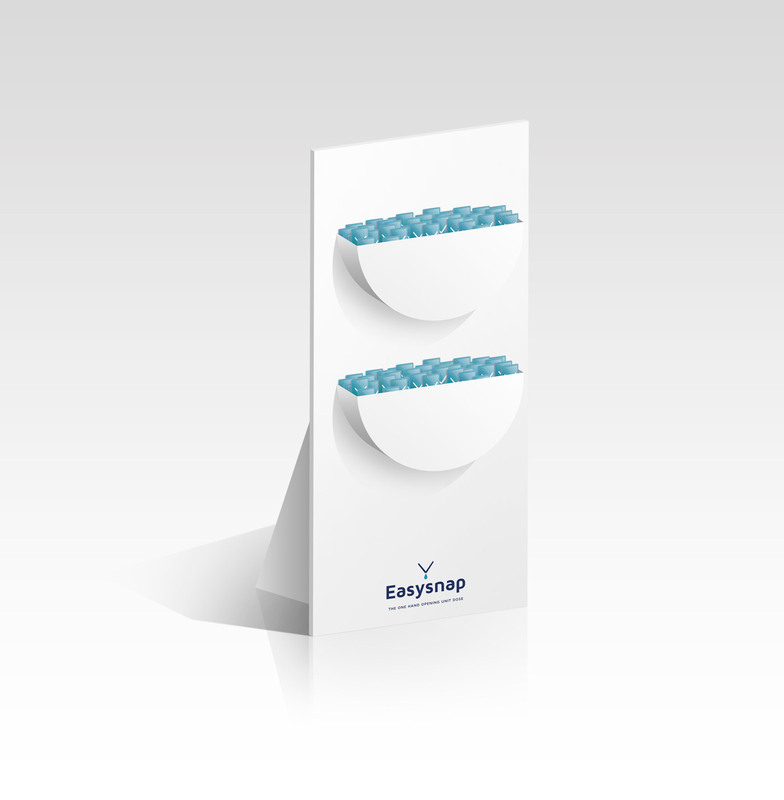 corner in store or business to business project.